One of my (largely dormant) pet projects over the years has been to document and theorize anonymous, self-decomposing artworks made in collaboration with nature and time. These works are creative engagements with environments — often simple rearrangements of physical materials (rocks, wood, found pieces of scrap metal or discarded trash, and the like) — by individuals, designed or improvised with materials at hand, working with others less by design than by happenstance. They can be found in outdoor public spaces, wooded ravines and forests, wild patches of cities and countryside, abandoned industrial sites. Remaining little documented, they appear not to exist at all except when directly encountered, which is something that usually happens by chance. Even calling them ‘artworks’ can be problematic, since they may not be created with the intent of being recognized as art, or made by ‘artists’, and certainly not as part of the ‘art system’ (as Bourdieu, Luhmann, or Stallabrass would define it). Insofar as they assert the (past) presence of those who have crafted them, they can be read as forms of graffiti, or a kind of resistant creativity akin to the guerrilla gardening movement of urban space activists. Marking out a space as different and significant, but leaving behind little direct evidence of the intent underlying them, they may convey an aura of mystery, playfulness, childlike wonder, or the more serious character of a sacred space or shrine, but until they are turned into a public topic (as has occurred with the fairy houses on Monhegan Island, where I just spent a few days, and about which more in a moment), they remain ambiguous and a little unplaceable within the systems of things that make up the recognized world. They are anomalous or ambiguous objects, which makes them relevant to the recent discussion here of objects versus relations. Somewhere at the outer boundaries of this category of objects/phenomena one finds self-conscious artworks that are unsigned but that contribute, through documentation or personal narrative, to an artist’s work/oeuvre (or the ‘signed’ works, like Robert Smithson’s Spiral Jetty, that are land art’s defining moments); or functional markings like the rock cairns that are sometimes used to indicate trails in national parks and public lands (but sometimes these also exceed any such functional intent and spill out into the category of anonymous creativity); or religious/spiritual constructions like the ‘medicine wheels’ and other circular stone formations constructed by ‘New Age’ visitors to public lands in the U.S. Southwest (which I discussed and analyzed in chapter 7 of Claiming Sacred Ground); or perhaps the various forms of crop formations found around the world (but most concentrated in Britain), which remain enigmatic despite some of them being claimed by so-called hoaxers (i.e. crop artists) and despite a certain commodification they get within the tourist industry that caters to the ‘croppie’ subculture. 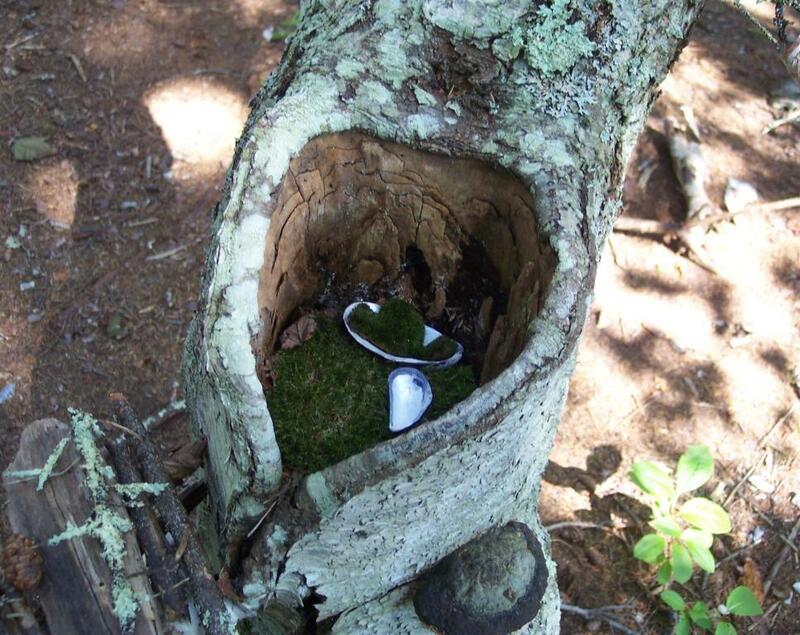 What then to make of the fairy house villages of Monhegan island, ten miles off the coast of Maine? These little structures made of sticks, shells, rocks, moss, and other locally found materials, tucked into tree bases and nooks and crannies in the forest floor of Cathedral Woods in the center of the largely communally ‘preserved’ island, have been built for decades and have accrued a certain <a href="storybook narrative to them, as well as an etiquette to their construction (including ecological principles). 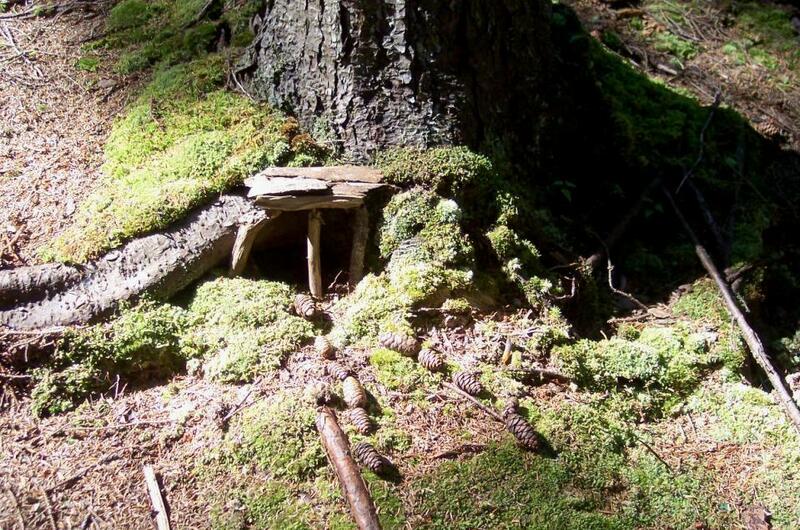 Fairies, of course, are nothing new, and there’s a growing childrens literature on fairy houses that dovetails conspicuously with the burgeoning New Age and Pagan literature on the faery world and its various denizens. (Diana Purkiss provides an excellent overview of the history of fairies, hobgoblins, and the like, and of some of the ways they have been accounted for.) 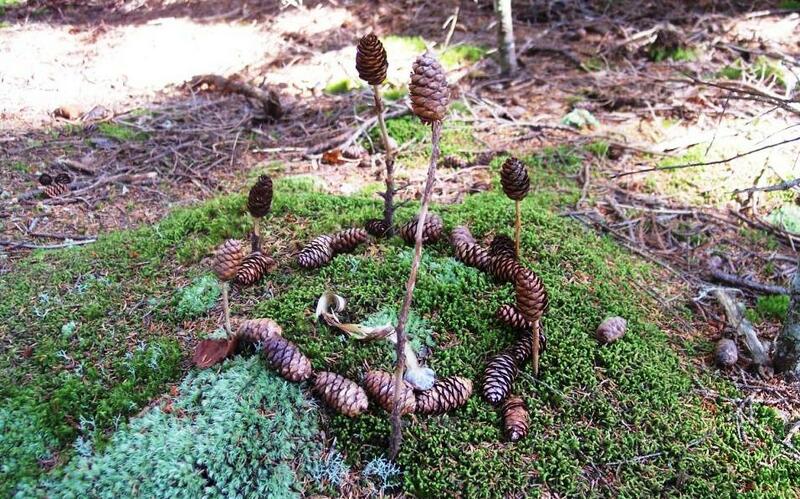 The practice of building fairy houses has also, more recently, been actively discouraged on Monhegan by those who take them to be impositions on the forest and potentially damaging to its ecology — which adds another layer of ambiguity to their already somewhat elusive nature. But when, without knowing any of that, one stumbles across the fairy houses on a walk through the woods, they can elicit a range of responses: for instance, a “what’s that?“, followed eventually by a delirious wonder at how many of them there are, and finally a scrambled sense of boundaries so that they seem to appear everywhere even where they aren’t (which is presumably part of the point in building them, to sharpen our perception of form and beauty in the nonhuman world) — all of which casts them into an ambiguous space between nature, artifice, and a spooky kind of otherness. In the end, like crop formations (for those not choked in skepticism), they are both crafted (and found) objects, though it’s not always clear who crafted them, and entropic processes unfolding over time as nature takes over what initially intervened in it (insofar as humans aren’t in it, which they are). They are a kind of lay person’s Robert Smithson moment, a performative enactment of relationship and aestheticism in a tricksterish world that’s not so easily pinned down. Being temporary and self-decomposing, they are processes as much as products, relations as much as objects. And the fairies they might be intended to capture, in an imaginal, finger-pointing-at-the-moon kind of way, (or to attract, if you care to go that far,) are also relational processes arising somewhere at the boundary between us, imaginatively equipped humans, and a protean world that proves itself more than a little elusive and mysterious enough of the time, if we let it. Like all such processes — and for a relational ontology, that includes everything — these relations ever elude our grasp. An art that helps point that out can do it somberly, unveiling the “entropic undertow of the earth” through the heavy texture of its message (I love that phrase from Gary Shapiro‘s book on Smithson), or it can do it playfully and ambiguously, and these works’ anonymity and their unaccompaniment-by-explanation clearly makes it the latter rather than the former. Like other such anomalous, boundary-blurring objects, they raise questions about the mutable borders between the public and the private, the individual and the communal, the shaped and the unshaped, intended and unintended, marked and unmarked, and the ‘aestheticized’ or ‘sacralized’ and the merely functional, random, or ‘natural.’ When successful, they blur the boundary between the human and the other-than-human, or at least evoke a bit of the sense of what may lay on the other side of the border of the ‘anthropological machine’ that keeps us here and not there (I’m thinking of Agamben but also Hans Peter Duerr here). They also raise questions about the place of such anonymous creativity in a society in which both space and art have been mapped, classified, managed, and commodified, and in which nature and the spiritual/religious have been relegated to different kinds of marking, managing, and distribution. The space of play (and of childhood) is, after all, one of the pre-eminent spaces in which a liberatory ontological politics can be nourished and cultivated. wow. That is really beautiful, both in concept, but also in writing. One wonders if anything that changes the informational content of the world is “art”, and if aesthetics underlie all that is biotic, and far below. To my mind, everything (i.e. everything that happens, every event) changes the informational content of the world in some way, however miniscule, since every event involves a subjective ‘becoming’ of some sort in relation to something else, with the relationship involving a kind of informing of one thing by the other, an in-formation (Susan Oyama uses the word something like this in her brilliant Ontogeny of Information). Latour would say this happens as a ‘translation’, and that works for me. I like the idea that there’s an aesthetic component to every event – this seems very Whiteheadian. Every ‘actual occasion’ (event or smallest unit of the world-as-becoming), for Whitehead, involves a subjective and an objective pole, with the subjective one – or the relationship between them – characterized by feeling, i.e., by a being affected by something and responding to it. Isn’t this Spinozan, too? But if every ‘becoming’ is aesthetic (as well as cognitive and affective), a matter of prehending and taking into account something(s) and responding to it in a way that satisfies, there can still be art(fulness) that brings forth deep novelty – good art – and art(lessness) that merely repeats things. So I don’t think anything is lost by seeing art everywhere, all the way down. I like the idea. This is all very interesting. Just a moment captured in time.The photos on Spokane outdoors were pretty good too! I love art, I have been loving art and making art my entire life and I still do. I LOVE the bark house in the base of the tree. I’m sure the fairies will love it too. I must say that while reading through this post, my mind kept wandering into an area of thought not visited before. This was a very enlightening post and I enjoyed exploring this area of thought along with you. I love the fairy houses. We learned about them in girlscouts when my kids were young. 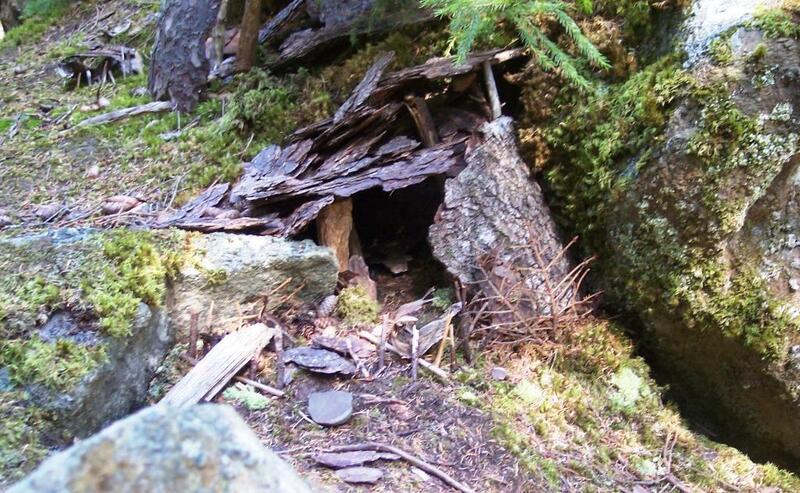 My girls and I have built dozens of these in the woods. The most amazing thing is seeing a child run across one that is already built and wondering what fairy must live there. really beautiful pictures. I like the idea. Thank you very much for this interesting post. First I must say that I was really impressed by the esthetic aspect of this blog; it’s just beautiful. Regarding the post itself, I believe that whether we regard this kind of artworks as art or not, they actually certainly involve creativity, and are pleasurable for the eyes. I always believed that art and creativity was a gift of human beings but the lovely BBC wildlife video actually showed me, that even animals can be creative and have a sense for esthetics. They had one of these in the Chattanooga Aquarium. It was actually done with trash from the Tennessee River and had real fish swimming in it. The aquarium stated they had removed any harmful chemicals. They used old tires, the plastic “six pack” can holders, and other trash that was recovered from the river. It was eye opening to see what an impact it can make. The fairy houses and bowerbird art made my day. Thanks for sharing. Very interesting and well written article. 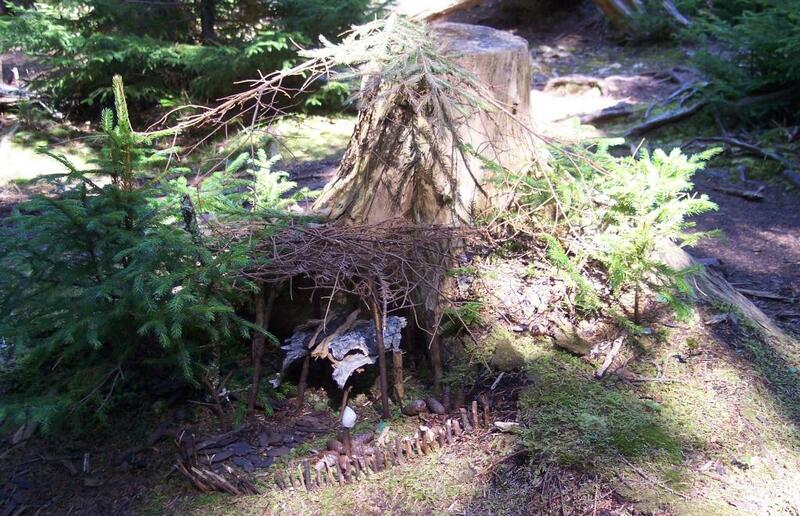 interesting pictures as well with fairy houses and bowerbird. You have an interesting article. Your photos are amazing. These small habitats are important to our environment. I love the first picture though. I’m glad to read your article coz it’s like i am exploring the place. Thanks very well written! on April 7, 2013 at 8:32 pm | Reply Oh loo, he’s talking about Billfork, Lion’s Roar (etc.)! | Frank & Herman, Einstein! Your photos are amazing. wonderful nature art makes. Create your own site with your art for anything site genre. Create your own site with your art for anything site genre for example social media, ecommerce, online shop, download site and etc. Nice to be here with your nice article! Success at a recent play date! Thank you!! !